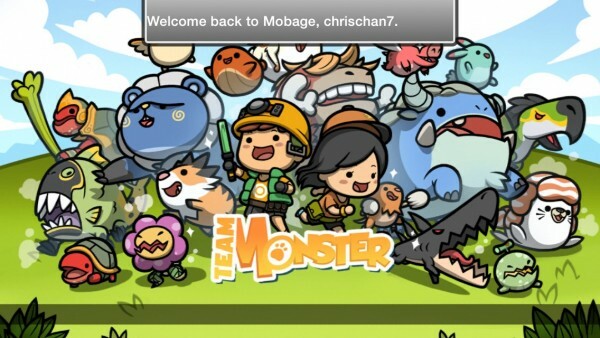 Team Monster (Free) by Mobage, Inc. is like a hybrid of Pokemon and Battleheart. 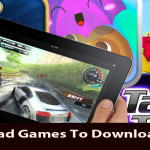 If you enjoy either of those games, then chances are you will like what’s offered in Team Monster. 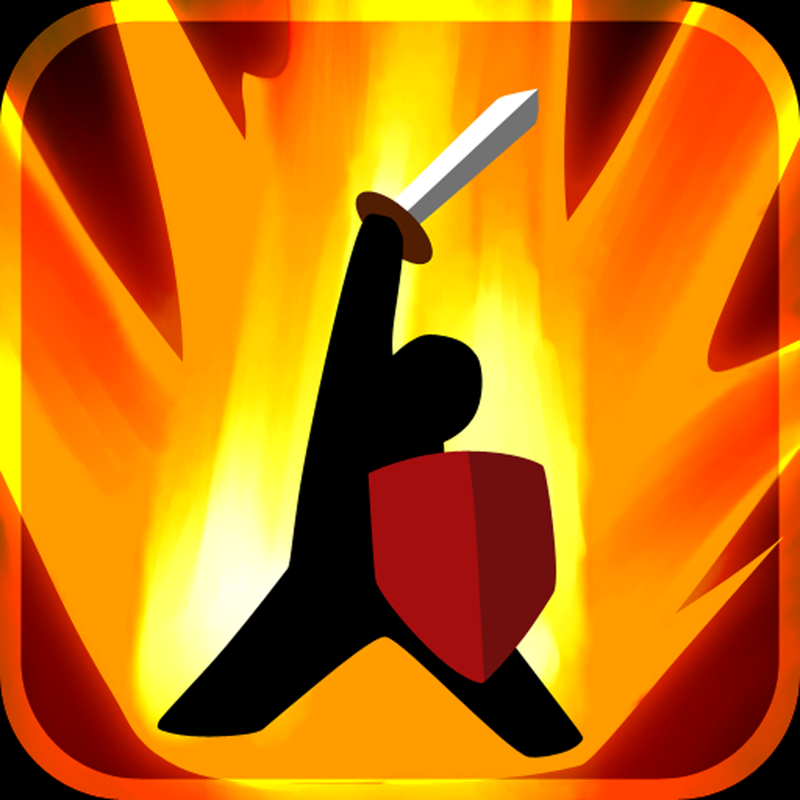 Ever since Battleheart, I’ve been looking for another game that uses a similar gameplay mechanic that is done as well as the original, and I haven’t really found anything. 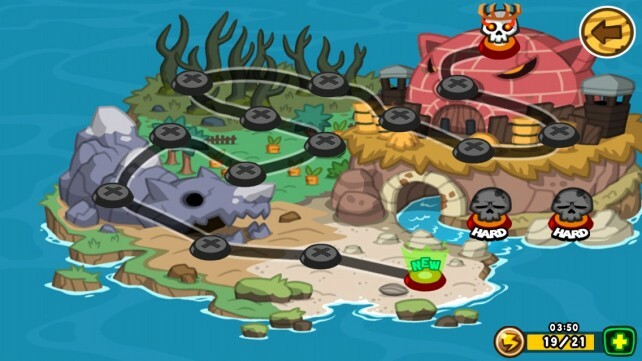 However, I believe that Team Monster is as close as we are going to get to something as good as the original Battleheart, at least, until the developer ever decides to come out with Battleheart 2 (I’m still really hoping for this). The visuals in Team Monster are cute and charming. 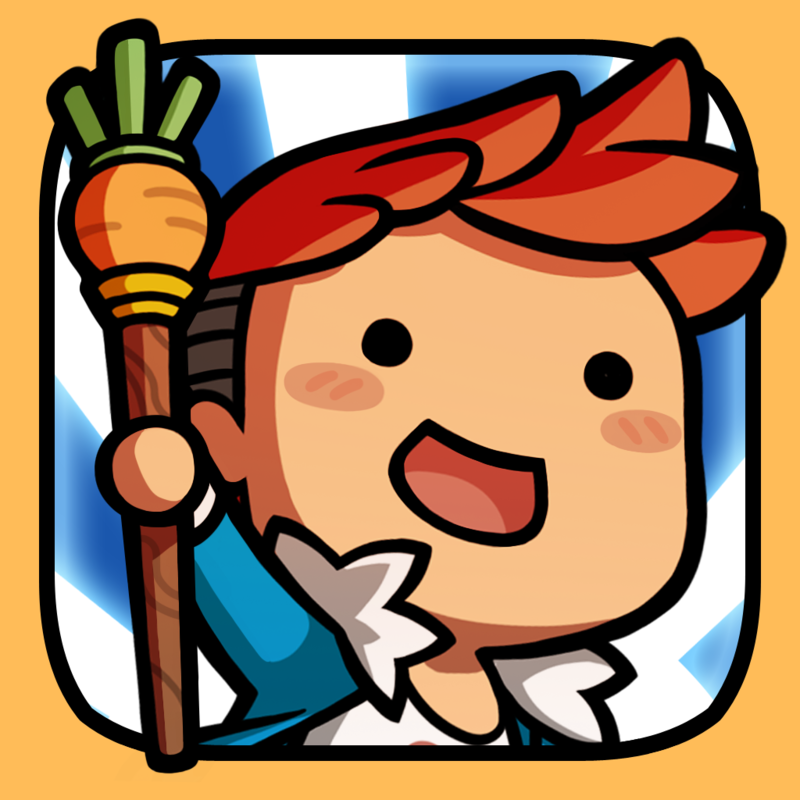 If you liked the cartoonish look and feel of Battleheart, then you will feel right at home with this game. The game will open up with some cutscenes to show players what is going on, and the game itself features vivid and lush environments with smooth animations for character models and movements. The only complaint I have is the fact that the game menu can be a bit cramped on the smaller iPhone screen, so I had some responsiveness issues while trying to navigate through various menu options. 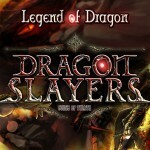 The soundtrack is quite whimsical too, fitting in nicely with the game’s overall appeal. Like a lot of games nowadays, you will need to go through the non-optional tutorial that will show you the basics of the game. I wish that there was a way to skip this. 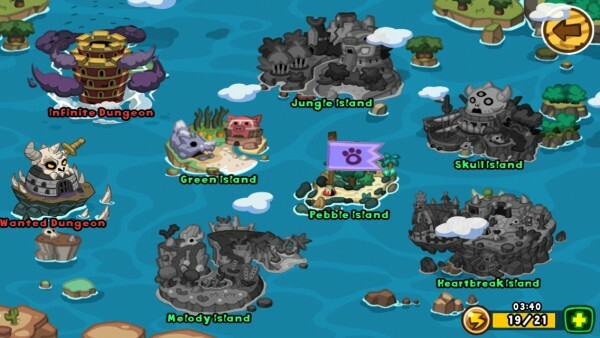 You will find yourself on a mysterious island archipelago with your talking chicken, and before you know it, you find out that the islands are inhabited by adorable and fierce monsters. 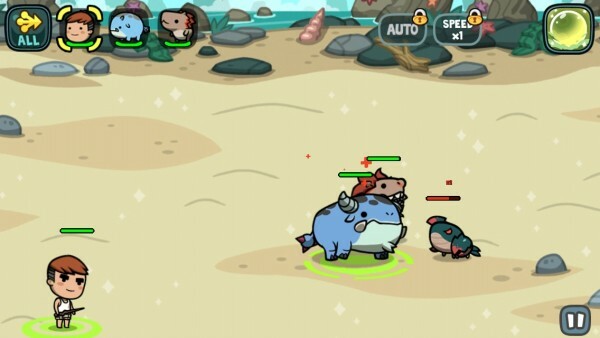 A bulky blue monster comes to your aid, and you will find it evolving into a fiercer version of itself, ready to protect you as waves of enemy monsters come in on the screen. Game mechanics are easy. 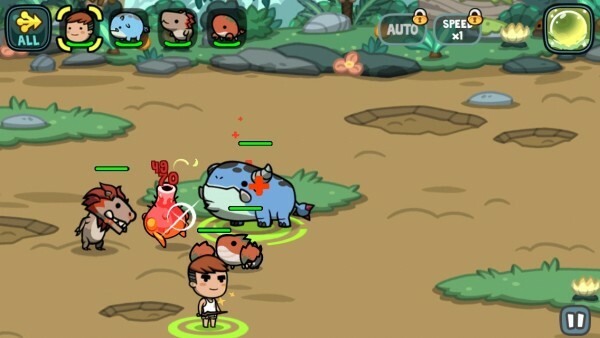 You will direct your monsters anywhere on the screen by dragging a line from them to where you want them to go. 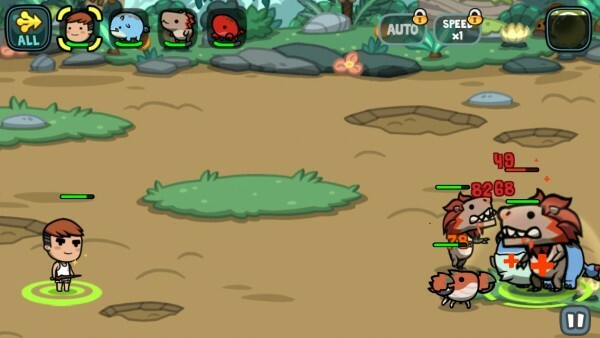 If you drag from them to an enemy monster, they will charge in and attack (they also automatically attack if an enemy is close enough). You, the human, will stand back and let the monsters you find and control do the work for you, but you need to have their back as well. You can draw a line from your character to one of your monsters to heal them gradually. To move to a safer spot, just draw a line from your character to a spot on the screen. While the regular attacks and heals should suffice most of the time, sometimes you’ll need a little extra. 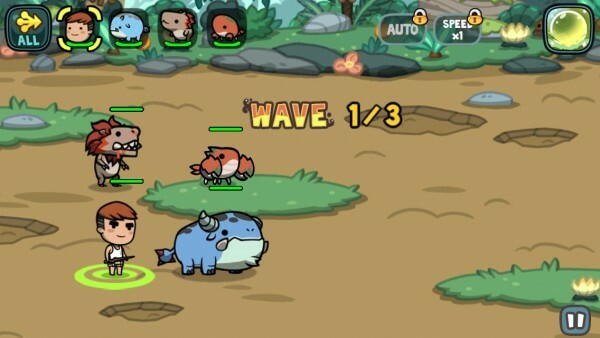 As you level up your character and monsters, they will eventually gain new skills that you can use in battle against the enemy waves. To use them, make sure you have the one you want equipped (from Team Info in the game menu), and then you can tap on the appropriate character button along the top of the screen in battle to activate. Each level will feature several waves of enemies, and you need to survive through all of them to advance to the next round. When you clean an island, you can jump on over to a different one to find new monsters awaiting you and your monsters. You get rewarded for completion, which is usually the game’s currency (shells). 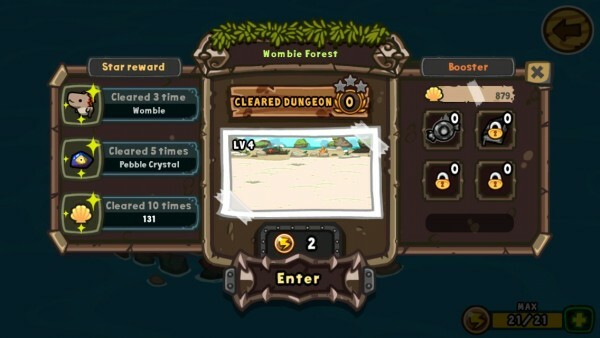 However, if you take a look at the dungeon you are going into, there will be different rewards that you can reap depending on how many times you’ve beat it. For example, if you beat a stage at least three times, you will get a new monster that you can add to your team. 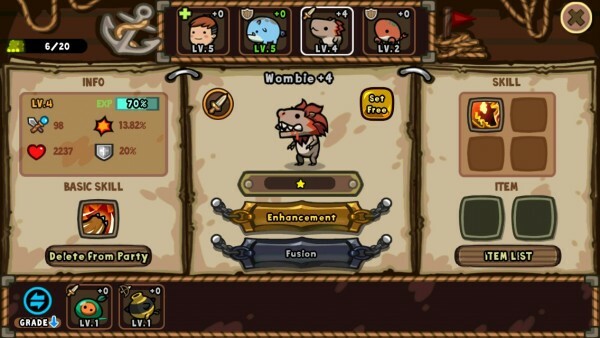 When you are trying to get the right team together and have extra monsters in your collection, you can “upgrade” existing monsters by fusing them with another monster of the same category (melee or ranged). The monster that it is fusing with will be consumed, but the other monster becomes stronger and will be of more use during battles. 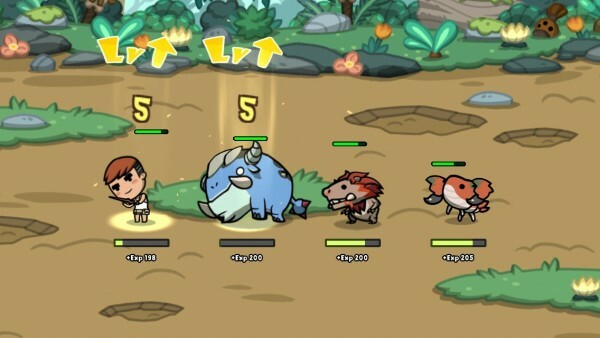 You can also change their equipped skills and items to hold that boost their fighting power. While it is possible to earn monsters as rewards for beating levels, you can also buy monsters from the Hatchery. However, these will require purple gems (premium currency), which seems to be harder to obtain than the normal, in-game currency. I haven’t been able to buy any myself, but these monsters are split into basic levels and stronger ones, which will cost more, respectively. While I’m having a lot of fun with the game, it doesn’t seem to be playable if you do not create a Mobage account, and it seems to require a constant Internet connection. There’s also the whole “invite friends to play” thing that I am not really fond of, as well as an energy system. I am liking the game so far, but this is another one of those titles that I wish it was a paid game without all of the in-app purchases for crystals for buying strong monsters. Pay-to-win, as they say — I’m not a fan of this system. For what it’s worth, there’s still a lot to do in the game for free, so there’s that. 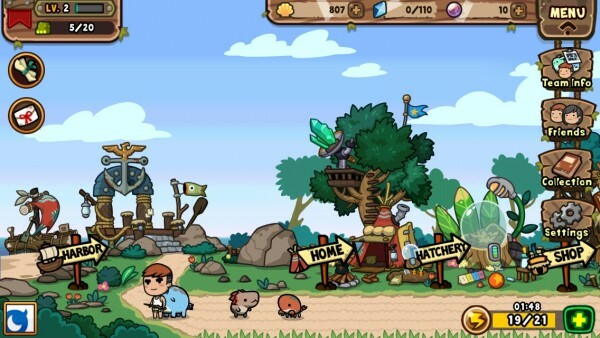 It’s fun, cute, addictive, and can become quite challenging, so I still recommend checking it out. You can find it in the App Store as a universal app for free.